After the Palace of Coudenberg burned down in 1831, new buildings were eventually constructed around the area that is now Place Royale. The architecture of all the buildings and structures around the square is splendid. These buildings include the Church of Saint Jacques-sur-Coudenberg, the Royal Museums of Fine Arts of Belgium and the Magritte Museum, and the BELvue Museum. 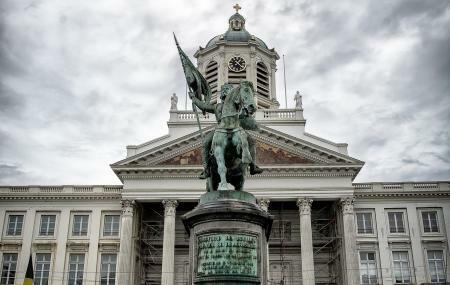 Check out the statue of Godfrey of Bouillon (the leader of the first Crusade in 1096) in the middle of the square. You can also get some thrills from realizing that the ruins of the former grand palace are below your feet. Access all of these spectacular attractions from the nearby BELvue Museum. How popular is Place Royale? People normally club together Stanhope Hotel and Parc De Bruxelles- National Day Celebration while planning their visit to Place Royale.